SAN FRANCISCO, Calif. /California Newswire/ — The California Tuberculosis (TB) Controllers Association welcomes the United States Prevention Services Task Force (USPSTF) rating published yesterday in the Journal of the American Medical Association, recommending the testing of adults at risk for TB exposure. This recommendation is focused on people born in countries with high rates of TB and those who have lived in congregate settings, such as homeless shelters. Approximately 2.4 million Californians are infected with TB and last year over 2,000 were diagnosed with the active form of the disease, spreading TB to their families and in their community. Preventing people from progressing to active TB requires identifying people at high risk of TB and treating them before they become ill. New, shorter course treatments are now available to treat TB infection; TB infection can be treated in as little as 12 weeks. “Californians need to know their risks. Community health care providers need to evaluate their patients for TB exposure risk, test those found to be at risk, and treat those with infection who are likely to develop disease. The blood test for TB is recommended for people born in countries with high rates of TB. And we cannot downplay the importance of testing children in these high risk households. The effects of TB on children can be devastating,” said Louise McNitt, TB Controller for Contra Costa County and President Elect of the California TB Controllers Association. Public health departments cannot do this job alone. Community providers, especially those serving communities at risk for TB exposure, are the key to identifying those with TB infection and making sure they get treatment. Providers need to educate themselves on the new short course treatments that are available for treating TB infection. CTCA, in partnership with the California Department of Public Health, has developed an adult risk assessment for providers to use to identify people at risk for TB. The California Adult Risk assessment includes testing people born in countries with high rates of TB, people who have been in close contact to a person with TB disease, and people who have a weak immune system, whether from medications or illness. TB was the number one cause of death in the United States in 1900. Still today, TB is the number one infectious disease killer worldwide. Even with all our modern medicine, ten percent of those diagnosed with TB in California will die. The California Tuberculosis Controllers Association is made up of local public health providers working to eliminate TB in California by working with community medical providers in detecting, treating and preventing TB. 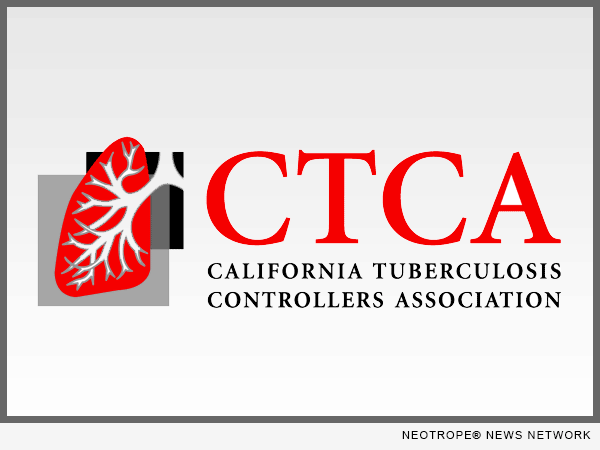 For information about TB, please visit the California Tuberculosis Controllers Association website, http://www.ctca.org/.